What are you supposed to do when someone claims this? First, you should know the prices being charged online through sites such as Amazon. It is very difficult to compete with large companies like that on pricing, but there are other ways that you can compete and turn the online customer into a regular shopper in your store. You have to be honest and acknowledge that it is possible to get the item online, but you can then explain why it’s better to buy at your store. One of the first things you can let the customers know is that yes, you might be able to get the item a bit cheaper online, but the item they want is in the store in front of them right now. It’s more convenient to pick up the item now than to order and wait – even if it is only a few days – and then have to pay shipping. Even if they do not have to pay shipping when they order online, most customers do like the idea of instant gratification, and if the product they want is already sitting in their cart, it tends to be easier to convince them to buy. In addition, they get to see and feel the product right now, before they buy. 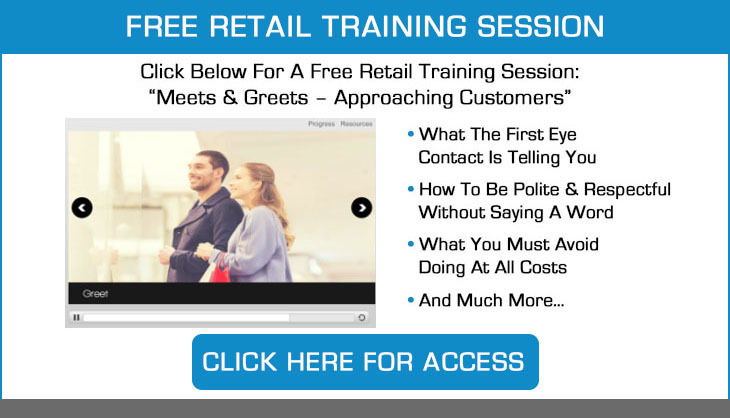 This helps to get people into the mindset of buying, and it is something you can and should take advantage of in retail. Another one of the aspects of your store that you can and should always play up is the customer service that you can offer. By providing people with a fantastic experience whenever they come into the store, whether they are a brand-new customer or they have been there many times before, always provide them with the best possible customer service. Most of the time, customers will not have to return items. What if something doesn’t fit quite right, or if something doesn’t work properly, they have to send it back. If they order online, not only do they have to wait for the item to arrive, but they are responsible for shipping it back – and waiting again – if they have to return it. When they can return something right to your store, it is simply more convenient. While customers might be able to find products online for a bit cheaper, that doesn’t mean they should buy online. Talk with the customer and let them know about the things we’ve discussed in this article. You will find that it becomes easier to convince these customers to buy, even though it might cost a little more now. They are often willing to pay for the convenience.